Signature Smiles in Hixon, Tennessee only uses the best when it comes to in-office technology. We value your comfort and your time above all else. New advances in dental technology allow us to treat you with expert precision, comfortably and in a timely manner. Our x-rays are quick, safe, and convenient. The images are ready in moments and can be viewed alongside the doctor during your appointment. The small and unobtrusive intra-oral camera allows Dr. Conner to view areas inside the mouth with more clarity than a mirror. The images are on a computer screen so she can better view areas of concern. The camera helps her assess and treat any issues she may find. The camera also allows Dr. Conner to see decay that has otherwise gone undetected. Cone beam CT scan images help Dr. Conner better treat her patients. The comprehensive images give her more precision when placing implants and provide detailed anatomic views when assessing for jaw abnormalities. The 3D images also help Dr. Conner explain procedures to her patients. Oral cancer screening helps Dr. Conner see any abnormalities in the oral tissue that may be cancerous. Early detection leads to earlier intervention, less invasive treatment, and better outcomes. The ultra-thin (size of 3 human hairs) LANAP dental laser removes the infected gum tissue and tartar under the gum line. The laser also disinfects the area, selectively killing all bacteria that then allows for new, healthy bone to grow. The small, sterile wound is then sealed to the root surface. At Signature Smiles, we want the absolute best for our patients. 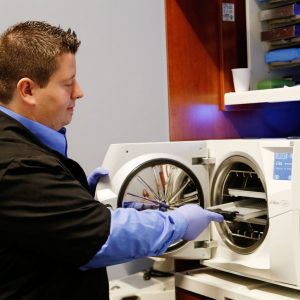 Our advanced technology allows us to treat you better. Give us a call today at (423) 301-2330. 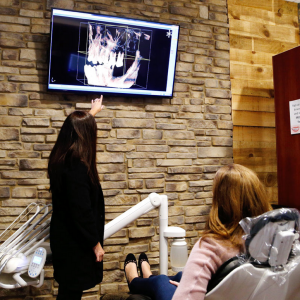 We are thrilled to provide Soddy Daisy, Signal Mountain, Chattanooga, Hixson, and Red Bank residents with the most advanced dental technology in Tennessee.